Can You Design/Fabricate A Frame Like The Texas Barn To Be 40’X120′? Can you design/fabricate a frame design like the Hermes project in Texas, with the main “bay” being 40′ wide and 120′ long? We are considering a steel building, I would prefer timber. This will be an executive retreat/ entertainment hall, with shed buildings going full length down both sides. Project is located in Spearfish ,S.D. 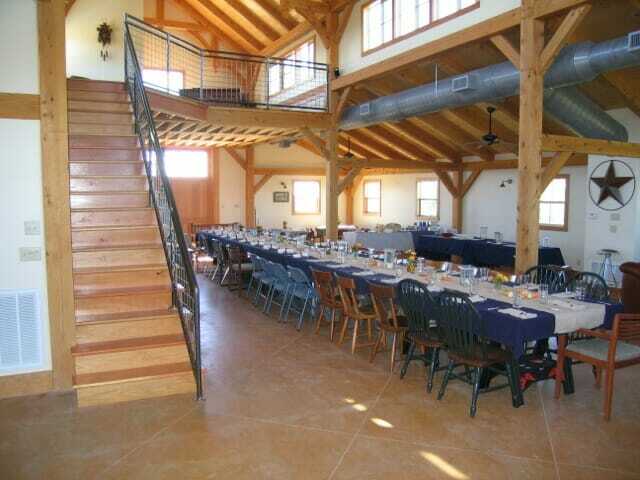 We certainly can design such a barn. The center bay being 40’-0” is not a problem. Although, you should be aware that a timber frame of that size will be much more expensive than a steel building.